The Chantry house and property are owned by Annie Pierce, a Verbena Disciple who currently resides there with her two cabal-mates. Other mages and acolytes are free to come and go, and guest bedrooms are always available to those who need them. Care and defense of the property are handled by Annie and her cabal, but they welcome assistance from other mages when it's offered. 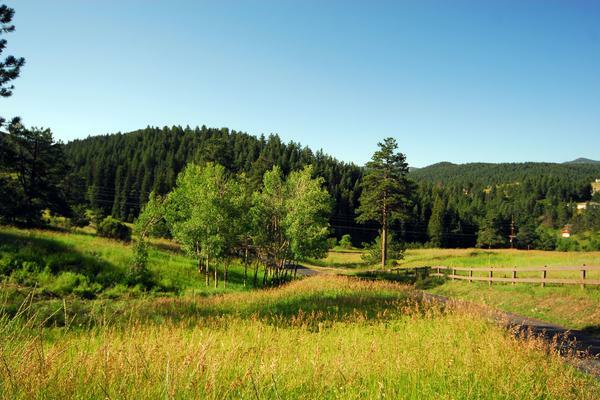 The chantry property is located a little over half an hour's drive from downtown Denver, in a rural town called Morrison that's situated South of the city. The chantry house sits on 20 acres of land, at the base of a large, forested hill. 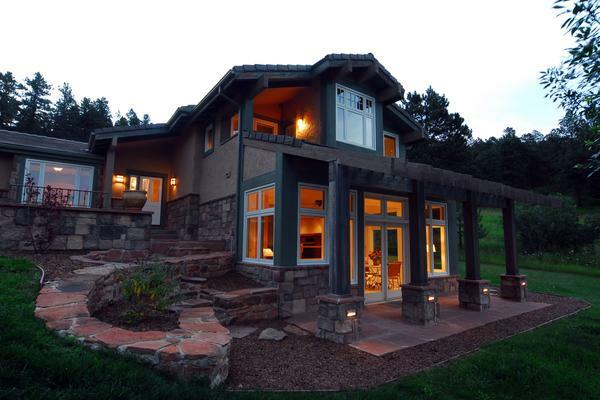 The house itself is a large ranch-style stone building with a two-story addition. There is a large field in front of the house with a fenced pasture and a small stable that has recently been fixed up, as well as a nearby work shed. Behind the house lies the node and a handful of large, lush garden plots. Note: If anyone wishes to claim a bedroom in the chantry or make adjustments to the look and layout of their room, simply e-mail the Admin at mage[at]woddenver[dot]com and the floor plan will be updated. The chantry's library is located below ground in the basement of the addition. It is climate and humidity controlled, and protected by reinforced walls. In order to access the library, one has to enter through a door on the ground floor which leads down the staircase into a large, open room. A high tech security system was installed by the previous residents (including options for fingerprint and retinal scans - currently disabled) which requires a digital passcode in order to unlock the door. Note: The chantry library is a general library containing a wide assortment of information and books geared toward multiple paradigms. As such, everyone may use it freely. 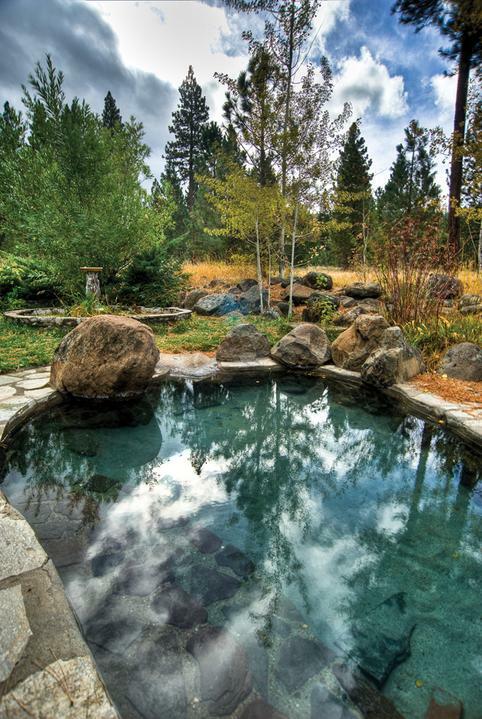 The chantry's node is located about 50 feet from the back of the house, and it is in the form of a natural hot spring that has been lined with stones and turned into a meditation pool. Those who wish to replenish their quintessence may meditate at the edge of the pool or by soaking in its healing waters. Note: This is a level 3 Node which holds 21 points of Quintessence. It regains one point of Quintessence per day, and thus takes 3 weeks to fully replenish itself once depleted. When casting effects in its vicinity, it provides a -2 difficulty modifier. For the most part, the spirit keeps to herself, often roaming about the property umbralside or resting near the node. Unless she chooses to manifest, she won't be visible to anyone without spirit sight, though it's not uncommon to feel a brush of her presence now and then. 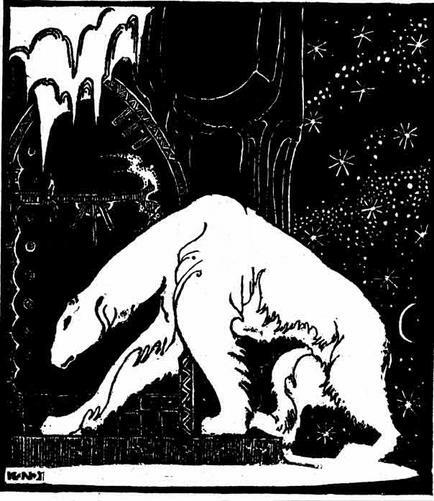 Callisto appears as a massive white bear, standing about 7 feet tall on all fours (and quite a bit more when she rears up.) She has an astral, unearthly quality (almost as if she were made of stardust,) and her coat shimmers in the light. It's not entirely clear just how intelligent the spirit is, but she communicates and behaves much as a bear would. Usually her manner is calm and aloof, though watchful. She will tolerate respectful use of the node and doesn't seem to care whether the people using it are familiar or unfamiliar (though she watches the new ones more carefully,) so long as no one threatens its health or stability. She does not manifest often, and if she does it's usually to exhibit a threatening posture and/or to defend the node from those who would harm it. In these cases, she is known to have a ferocious temper and is not especially forgiving.